Our convenient Classic 90™ Pak delivers all of the 90 essential nutrients that Dr. Wallach recommends for good health. 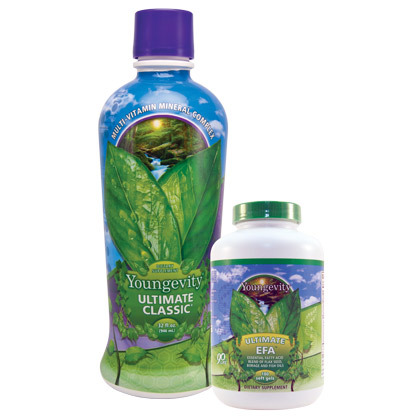 * Each pack contains Ultimate Classic® – 32 oz (1) and Ultimate EFA™ – 180 capsules (1). * See individual products for details. Our convenient Classic 90 Pak offers all 90 essential nutrients that Dr. Wallach recommended for good health in all parts of your life! Check the individual products for details!